would you rather have a open world ww2 game like most of gamers have been wanting for years thats awsome , or have a game with repeated towns and russians fighting americans unrealistically as they didnt in ww2 , random paras drops with 2 people? And limited / repeated maps! This game has awsome graphics for a game so massive mad by so few! I looove it. i think you can have ads on youtube right? i think if you pay or sponsor , LETS DO THAT AND MSSGE BLUEDRAKE42 TO PLAY THIS GAME AGAIN AND POST ON HIS YOUTUBE! IMO, quite a few people are put off by the idea of subscription fees. Ignoring the fact that WW2ONL *does* offer F2P and that F2P in other games usually is just a way of luring people in, banking on the fact that a certain percentage of them will spend quite a lot of money on "golden bullets" or other silly crap. Don't get me wrong: I like the fact that WW2ONL is still following a more traditional business model. Plus I don't think the average WoT- or Warthunder-player would be happy with WW2ONL (as a game) anyway. Oh we got a lot of free subs but they aren't staying. The glitter on the turd, so many examples to choose from. B Max was a superior product yet killed off by marketing that wanted to sell VHS regardless (corrupt vested interest). CD's are so bad that they lack most of the mid range thus Bass Boost on so many players to hide the poor quality. Take one Vinyl and play it on a 1970's valve amp, then play the same album on a CD. The difference is huge. Modern vinyl is useless because they use inferior masters for the print. Their "food" is so bad that they had to advertise free toys to get the kids parents to buy their toxic junk food via pester adverts on kids TV. Zero talent but a great PR company that made them very famous and wealthy. In the 90's PR companies were in competition with each other so much that they tried to out do each other. The game was to take the most worthless piece of turd and turn it into gold. People will buy anything these days no matter how bad it is so long as it has recognized status or fills that 'desire' created by the adverts. You ain't nobody if you are not trendy, retarded mentality. This world is driven by exploiting brain dead Zombie consumers that have very low expectations. You can now buy $60. bugged games with little to no content, some games cost over $100. ! It is getting to the point where the games cost more than the machines running them. Fallout 4 for example. Released for around $50. or $60. then they have the hard neck to charge $50. for DLC that should have been in the original purchase. They now have people paying multiple times for the same product ! It is all about shallow consumers and very greedy exploitative capitalists. This game lacks realism and has stupid bugs like reloading with 2 stripper clips just to slow down that bolt action rifle some more while others rip you apart with full autos. I do believe that semi and select fire rifles were available in WWII. Very few people help, you have to walk miles to get to the destination while trucks just drive right past you. Interesting how little teamwork there is in these games that depend on teamwork to in. I don't see myself paying for a subscription or playing the game after a few more days max. Release a CD with a one time fee. Pay 2 Play is a rip off, thanks MaCrapple. How about paying that guy that built your house forever because you live in the house he built ? The Enfield .303 (British) bolt action rifle (modeled in game) took 10 rounds in the magazine fed by two 5 round stripper clips. Fact. That's actually how you loaded that rifle in real life. It wasn't modeled that way to "slow it down against full auto rifles" (which do not exist in the game with the exception of the BAR which is not really a battle rifle as such). You may believe otherwise but that doesn't automatically make it a fact. The game actually models the most common semi-auto rifle of WWII, the M1.Garand. It also models the select fire (semi and auto) BAR. Semi action is employed with the mouse button and your finger. Full auto is the default condition, a semi-auto switch is not modeled since the game engine has only 1 fire (trigger) function in the code and you can replicate semi-auto fire by not holding your finger on the button. 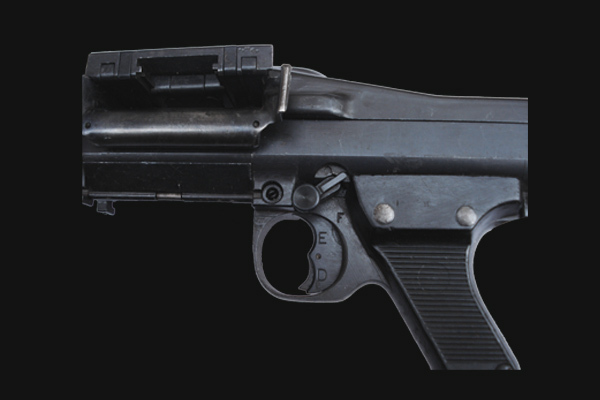 Additionally, other semi-auto rifles of French and German origin are modeled in the game, including quite rare ones that saw virtually no action or no action at all. So it would seem if you are saying the game lacks because semi-auto and select fire rifles should be modeled, but aren't, you would be incorrect. Accurate opinionating is always a good practice. Thanks DOC, you restored some of my sanity after reading this, for a moment I thought I was in another dimension. I'm actually a big fan of valid criticism but that requires a degree of accuracy in perspective that is often lacking. First time I read something about WW2online (many years ago) I had a very bad computer and a horrorific internet connection. Some weeks ago I was reminded about this game, so I spent hours searching with google (didn't remember game's name) and found NOTHING. After some days I searched again, tried keys like "online game ww2" and finally (stroke of luck) I found a review written by an italian blogger who described in entusiast way this game. 5) FPS gamers use to play on servers with a very good ping (less than 60ms). An unique game server imply that many people will have delay issues (my ping is 160/200ms, nearly unplayable). As a newbie I don't think that infantry learning curve is so huge, but somehow it seems so. I also think that publishing on Steam could boost subscriptions, and I'll try to bring here some people from my country. It may sound trivial, but I suspect the name-change from "WW2 Online" to "Battleground Europe" wasn't helpful. "WW2 Online" pretty much describes the game's idea/concept in a nutshell. "Battleground Europe" could mean anything ... from a WW1 trench-war sim to a cold-war "USSR attacking NATO in central Europe"-scenario. I stand corrected, I have not seen a Lee Enfield in 40 years and I remembered the stripper clip to be 5 rounds. My bad. My game experience has been bolt action only. Yesterday I leveled up and now I get subs even though it is like only 3 mags and only one grenade, that can't be aimed very well. Meanwhile the rifleman, with about 9lbs worth of rifle, gets 6 grenades (2-3 Lbs. each). I have not seen anybody with a semi auto rifle in the game. It has been either bolt action rifles or subs. The only exception being the guns on vehicles like say the boats that nobody uses. I have not seen one boat mission since I started playing. The game does lack for many reasons regardless of what you believe. There are not enough players and a sever lack of team play as usual. 9/10 trucks just drive past people walking to the battle or pushing artillery over huge distances. Great reply with the insults. Being a jerk is always bad practice. You are just another reason I won't be subscribing to this game. Way to encourage new players and perspective developers there RAT. That must be why this game has not got anywhere in over 15 years. Without a few die hard fans handing over money this game would have died long ago. Well... so you already know where the exit door is. well, given the way you entered the discussion, can't really blame their reaction. CRS over the years has generally been pretty interactive with the player base especially compared to others games. The M1918 Enters the game with the US forces. and doc , YOU ARE DA MAN! So much small details. It has so low effect on population. Enhance game mechanics and you will enhance population. Not that it matters much but seeing how the select-fire switch worked on the Tommy-gun, I'd hazard a guess that troops wold usually just have it on full-auto all the time. It's not *quite* like a modern SMG or assault rifle where you can go from single-shot to full auto via an easy flick of the thumb. Never even held a Tommy-gun, so I could be utterly wrong about this ... .
And in any case: Firing the SMGs single shot isn't *that* hard in the game. The MG34 is the one gun that could use the dual trigger that it historically had. But even that one isn't too bad, in-game, IMO. MG42 would probably be another matter .. I've been here for 14 of those years, both as a player in your shoes, as an HC officer and now as a staff member. I am generally very open to discussion but it makes it pretty hard to discuss something when you roll in here with guns blazing while being here for less than a couple weeks and expect a smile on our faces. This is a very personal thing we do here, it's a direct reflection of us, and we deeply care about what we're doing. Treat others how you wish to be treated, the golden rule. If you'd like to receive a legitimate response, formulate your questions in a respectful way that fosters excellent discussion, and it will happen. What are you trying to say Xoom? jks. Hopefully this does not fly over his head. I am generally very open to discussion but it makes it pretty hard to discuss something when you roll in here with guns blazing while being here for less than a couple weeks and expect a smile on our faces. 1.If you can't handle negative comments from new players then why on earth are you planning a Steam launch? 2. How do you expect to have a successful product when you disregard all feedback that isn't emailed to you 12-point and double-spaced with a proper header? 3. Why do you have an ex-employee doing customer relations(and badly at that)? 2. DOC ignored the totally legitimate gameplay gripe about how bolt actions are destroyed by auto weapons in this game, and how semi-autos aren't available to write a condescending wall of text on details regarding a weapon and stripper clips. You also ignored the player's complaint and endorsed what DOC said. Do you have any comment on infantry weapon balance and if/how you plan to change it? This isn't the steam launch. Where does he say he demands that? He asks them to be respectful which is a pretty sensible approach. You cant have a meaningful conversation if one guy is shouting. Where does it say he is doing customer relations? He is just contributing like you (sort of). 2. DOC ignored the totally legitimate gameplay gripe about how bolt actions are destroyed by auto weapons in this game, and how semi-autos aren't available to write a condescending wall of text on details regarding a weapon and stripper clips. But but but you said in point 3 he is a customer relations guy, but by not replying to this issue surely he is actually NOT doing the customer relations and not commenting on the game dynamic? He was just talking history. I'm not doing PR for CRS, but if you want to say I am, well I guess no one can stop you. It's not an insult if I tell you what you're doing is offering an opinion, and opinions are not facts. What I was doing, was offering some facts to clarify the truth of what was previously posted and, in my opinion what was previously posted was not rationally based but emotively driven. That also, is not an insult. If one is prepared to offer negative comment, but is not prepared to receive it in return ... that comes across as unfair and judgmental. Pointing this out is also, not an insult. Setting the record straight where a fallacy is clarified with accurate information is not an insult, it is information which could be viewed by a rational person as being helpful. If a person trips over, it is not an insult to describe that action as clumsy. Point of order: I thought one Rat years ago was quoted as saying he wasn't going to touch the original physics code cause HOOF(?) wrote it in uncommented assembly and the other Rat was afraid he'd break it. Did you guys rewrite the physics code in C++ already? 2. Not all gamers in the world unterstand english. If you not unterstand english so you can play only as a normel player here. No chance for HC or somehting other. World war two games are in europe very popular but much here cant unterstand english or only a little bit. Some friends from me have left the game because they unterstand nothing in the Chat and see no future for own militär rise. I can only speak for the axis side but if you cant read english here you must play alone. The axis HC communicates only with players that unterstand english no small translate for the main Important strategy news in some other big languages. After steam relase i think many not englisch understand players left the game soon. Of example if you join new a game and all other players in your team wrote in russian or Italian and you must play alone. What you think make this game much fun that you stay long in this game? (This is not a reproach). this 'in game chat' language thing, especially with the new euro marketing initiative and eventual steam launch, recognizing that to a large extent WWIIOL is what it says it is - a niche WWII simulation- could be handled with a real simple language/translation plug-in.